Excellent minimal synth project by Antonios Stratis(Greek immigrant in Germany),released on IRC UK label. 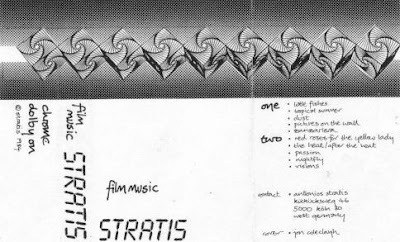 Thanks for this very very rare stratis tape. wow !!! what a great side !!! always surprising, the great and scarce items you give to us !! !